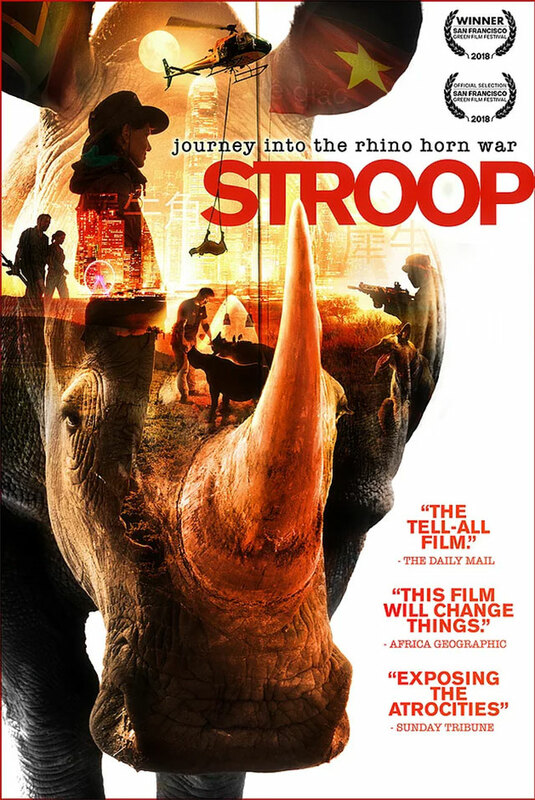 STROOP is a much-anticipated feature documentary on the rhino poaching crisis. Wildlife television presenter, Bonné de Bod and filmmaker, Susan Scott have sold their homes, left their jobs, moved in with their mothers (!) and have given up three years of their lives to make this film. What started out as a six-month documentary film on the crisis has turned into a passion project for the two award-winning filmmakers. In addition to ploughing their own financial resources into the film, the two have received grants and public funding to make the film. The public has been involved in the film from the very beginning and now in edit, this page is where the filmmakers and their team engage directly with the public to show progress on STROOP. The filmmakers would not be here if it wasn’t for these committed team members of STROOP who have helped us move the project to where it is now: Thapelo Danster, Liryn de Jager, Paul Tully, Rachelle Keeling and Heike Verhoef. Huge thanks for financial support from: ATKV, BKB, Voermol, Virbac, Regina Mundi Global Advisors, BriDev, I Make A Difference Trust, The Oak Foundation, Walter Hirzebruch, Brian Abrahamson, Magda Cynkutis-Simon and Robert Simon. And, to each and every one of you that has forward purchased a digital download, thank-you! Order your own copy of STROOP to watch with your family and friends. You can say, “I made this movie happen!” Or GIFT a digital download of the film knowing that YOUR purchase of this download will help us get STROOP seen around the world… For every digital download pre-ordered, the filmmakers will give thanks in the credits of the film. YOUR pre-order of this download will help us market the film independently… we are on our way to festival and these funds will help us tremendously. PLEASE NOTE: This is a PRE-ORDER of the digital download which will only be available in 2019 when the film releases in South Africa. By pre-ordering you are helping make this film, thank-you! On completion of the film, and before DVD release.